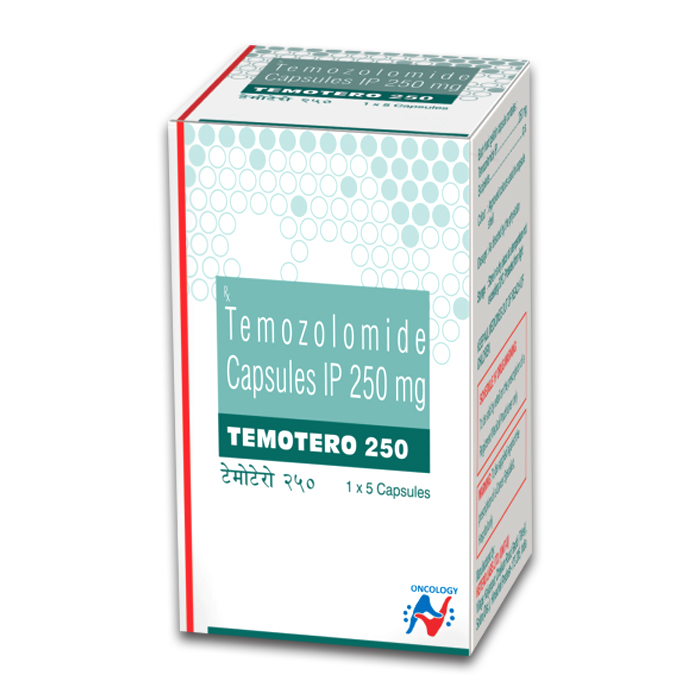 Temotero 250 mg Capsule is an anti-cancer medication. It enters the brain tissues and works by damaging the genetic material (DNA and RNA) of the cancer cells. This stops their growth and multiplication. Temotero 250 mg Capsule is used in the treatment of brain tumor.